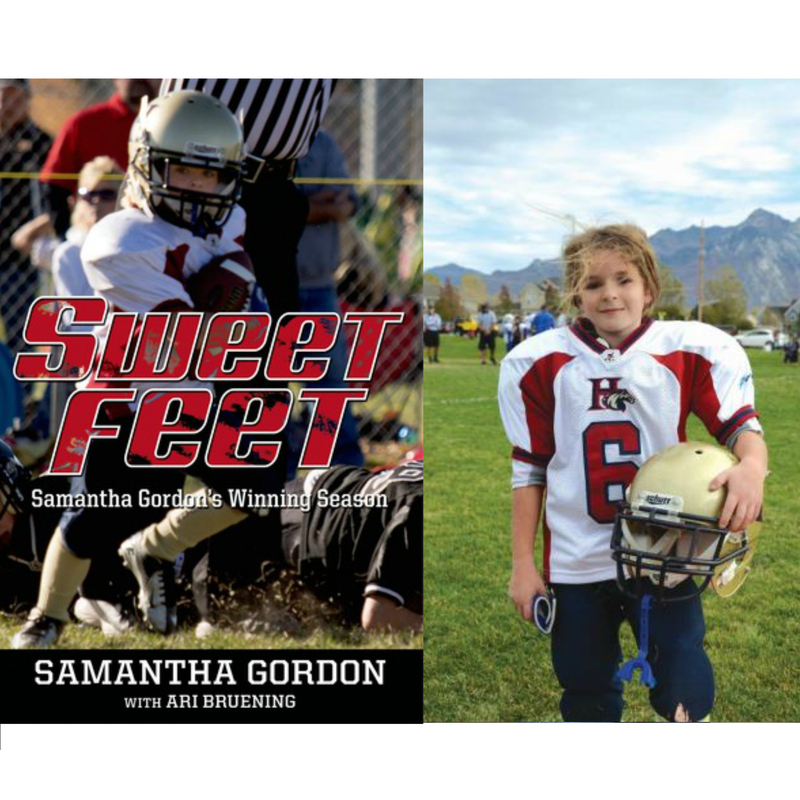 Ten-year-old Samantha “Sweet Feet” Gordon isn’t just a girl who plays football. She’s also the best player in a league full of boys and has become an online sensation. Known for flying past the defense to reach the end zone 35 times while racking up almost 2,000 yards in one season, Sam’s YouTube highlight reel made her an overnight sensation. Appearing in her own Super Bowl commercial and on ESPN, Good Morning America, and Cartoon Network, Sam’s attitude that girls can do anything, has inspired people across the world, from the U.S. women’s soccer team to NFL greats to other kids just like her. She even got her own Wheaties box—the first one to ever feature a female football player. Sam’s courage on and off the football field has lead her to greatness, but there were times when it wasn’t easy. Readers will hear Sam’s take on her love of football, her rise to fame, and her hopes for the future in this exciting autobiography full of stories and photos that will inspire all kids to go for their dreams.